Stay smoother for longer with the Magnitone PluckIt SuperGlide Mini Epilator, a handy hair-removal device that safely and effectively removes hairs from the root for longer-lasting results. 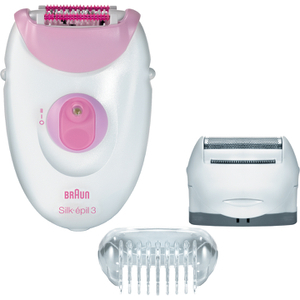 Built with 32 smooth tweezing discs that rotate over 30 times a second, the epilator glides over skin to naturally remove hairs from the root. Easy to use, it has two speed settings and comes with two SuperGlide heads (Regular and Precision) for using on the legs, underarms and bikini line. Delivering faster, longer-lasting and healthier hair removal, the epilator heads are treated with Biomaster antibacterial protection to help prevent irritation and infection. Compact and convenient, it fits perfectly in the palm of your hand and is ideal for travelling.